« 2018 BAA Top Twenty Images: Part I of IV. Announcing the 2018 B&H/BAA Holiday Bird Photography Contest! Amazingly the pool has warmed up from a low of 70 degrees to a toasty 81 yesterday. I am swimming a slow half-mile every day. Do consider using one of the B&H logo links below for your holiday photography shopping or the Amazon logo link on the right (or below) for household or clothing gifts. Please e-mail me directly if you are interested in learning about the substantial late registration discount for this IPT. I will be bringing my LensAlign unit and the complete lighting set-up and we will do some micro-adjusting and AF fine-tuning. Do consider joining us if you would like to do the same. See below for details. From Ed Dow via blog comment: For anyone contemplating the Fort Desoto trip, jump on it. I don’t think anybody knows that area like Artie. I was pretty much new to bird photography and he got me into position to create many shots that I treasure. This image was created on the morning of Saturday December 1, 2018 at Lake Morton in Lakeland, FL. I used the hand held Nikon AF-S NIKKOR 500mm f/5.6E PF ED VR lens and my back-up (#2) Nikon D850. ISO 400. Matrix metering plus about one stop: 1/320 sec. at f/8 in Manual Mode. NATURAL AUTO WB at 9:31pm on a cloudy-bright morning. Three AF points up and three to the right of center AF point/Single/Shutter Button/Continuous (AI Servo with Canon) AF as framed was active at the moment of exposure. The selected AF point was just below and slightly behind (but right on the same plane as) the bird’s eye. Nikon Focus Peaking fine-tune: +3. See the Nikon AF Fine-tune e-Guide here. Click on the image to enjoy a larger version. Ari — Arash Hazeghi — is a BPN Avian Moderator, one of the top birds in flight photographers in the world, and is much more technically knowledgeable about all things digital photography than me. Arash Hazeghi, Ph.D. is a senior electron device engineer. He received his MS.c. degree and Ph.D. degrees in Electrical Engineering in 2006 and 2011, respectively from Stanford University, Stanford, California. His pioneering research on carbon nanotubes and quantum capacitance have been cited many times. He is currently focused on the development of cutting edge memory technology. In short, he ain’t no dummy. Arash has stated often that he sees no need to micro-adjust (M-A) or fine tune (F-T) his gear. He says often, “The lenses and bodies produce sharp images without any adjustments needed.” I on the other hand will not even use a lens/camera body combination unless it has been focus fine-tuned (Nikon) or micro-adjusted (Canon). Both of us routinely produce sharp, high quality image files. So how can you explain our seemingly contradictory and polar opposite views? Is there a possible explanation? Yes there is. Ari concentrates on photographing birds in flight. He often uses a hand held 600mm f/4 lens often with 1.4X teleconverter. A 600 was his favorite weapon when he used Canon and remains so now that he switched to Nikon. Ari is most often photographing birds in flight at distances of from 60-80 feet. On the other hand, I concentrate on photographing static subjects. My style is clean, tight, and graphic. I work hard to get very close to my subjects and use teleconverters extensively. With Canon I routinely used the 2X TC with my f/4 super-telephotos. With Nikon I rely more on the TC-E14 III and the TCE-17II more than on the TC-E20 III. Most commonly I am photographing birds at distances ranging from 15 to 50 feet and often work very close to the minimum focusing distance (MFD) of the lens. As depth-of-field increases as the distance to the subject increases, Arash is rarely if ever affected by not having micro-adjusted or focus fine-tuned his gear because any errors in accurate focus are more than well-covered by depth of field. For example, when working with a full frame camera body at f/5.6 at a distance of 15 feet and a focal length of 840mm, the total depth of field in front of and behind the subject is 0.36 inches. When working with a full frame camera body at f/5.6 at a distance of 60 feet and a focal length of 840mm, the total depth of field in front of and behind the subject is 6.72 inches. Thus, when photographing relatively distant subjects the more than half a foot of depth of field will more than cover relatively small M-A or FT adjustments. On the other hand, when I am head hunting as I am often wont to do, and as I did with today’s featured image, having the correct M-A of F-T adjustment set is absolutely necessary for sharp success. And the same goes for those using teleconverters extensively. (I use them probably 90% of the time or more.) In general, Autofocus Adjustment (AFA) and Focus Fine-tune (FFT) values will be substantially greater with TCs than when testing the prime lens alone. And that goes double for folks using 2X TCs (aka doublers). 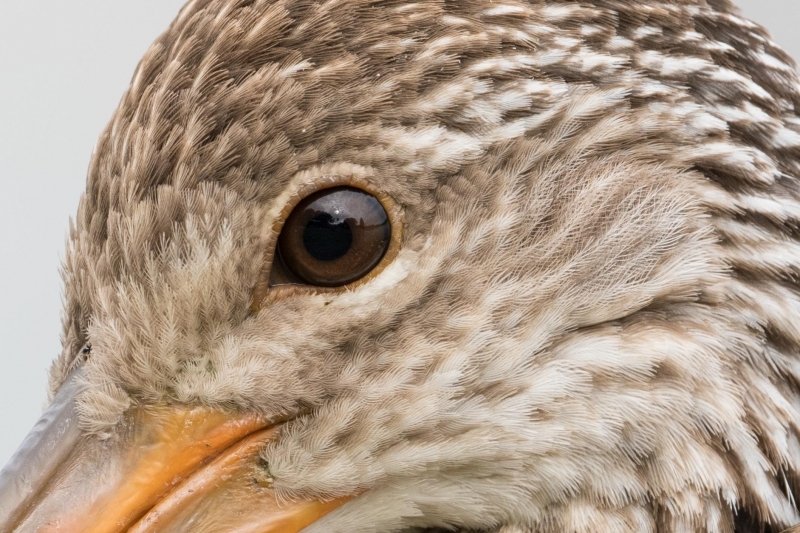 The lesson is that if you are able to get close to your avian subjects, enjoy working clean, tight, and graphic, and use teleconverters often, you need to be micro-adjusting your gear. If — like Arash — you concentrate on photographing birds in flight at a distance, the need for you to spend the time, effort, and expense of correctly determining an AFA or FFT value for each of your gear combinations drops drastically. If you are in the former group you will surely want to check out the LensAlign/FocusTune kit here, the The LensAlign/FocusTune Micro-Adjusting Tutorial e-Guide here, and the The Nikon AF Fine-tune e-Guide here. The LensAlign/FocusTune kit is the only device that features True Parallel Alignment that will allow you to come up with precise AFA and FFT values with the help of the amazing FocusTune software. And both of my e-Guides will significantly reduce your learning curve. FFD (fine-feather detail) is an oft-discussed topic in the hundreds of critiques done weekly in the Avian Forum at BPN. As I concentrate on getting the eye sharp when creating my clean, tight, and graphic images often at point-blank range, my images sometimes get slammed for a lack of FFD (almost always due to a lack of adequate d-o-f when working near MFD.) That is why I recommend stopping down when you are very close to the subject. The FFD in the unsharpened 100% crop immediately above looks more than adequate (stopped down one full stop here to f/8) to me. Especially the ear coverts. or get in touch with Steve Elkins at Bedford Camera — see Money Saving Reminder above. I understand that main reason of your transition from Canon to Nikon was the superior AF performance of the Nikon bodies. Even if your lenses are optically excellent and fast focusing the result won’t be perfect unless the AF system of the camera body can keep up. But apart from this did you notice any significant difference between the optical performance of the Nikon and Canon lenses? What is your experience with the 600mm F4E FL and the 600mm F4 IS II from the point of view of sharpness, contrast, build quality, etc. You used your 600mm F4 IS II with EF 1.4X III and EF 2X III teleconverters with success. Is the 600mm F4E FL + Nikon TC1.4 III and Nikon TC20E III weaker combo optically than the canon equivalent? Thank you in advance for sharing your experience. If you buy some new gear, please remember to use my B&H affiliate links. Of course you are right about DOF, that the close range static shots expose tiny focus shifts that are not usually a problem for flight shots. 99.99% of soft flight images are due to reasons other than MA. Having said that I have also been lucky that my super telephoto lenses seem to have been dead on out of the box. My Nikon 105mm f/1.4 E portrait lens definitely needed MA to get the focus exactly right, so I am not against doing it. The problem with MA is that it changes with focus distance, unless you shoot at about the same distance all the time it becomes less effective..
You’re fortunate that your super telephoto lenses are dead on out of the box. I agree about the calibration being different at different focus distances. Once again that’s why I fine-tune at minimum focus distance. I wonder if getting it perfect at the minimum focus distance can also throw it slightly off at greater distances? Interestingly, mirrorless cameras tend to be pretty much perfect right out of the box at all focus distances. Unfortunately, they don’t seem to be as fast to acquire and hold focus as their DSLR brethren. At least not the Nikon cameras that I have experience with. 99.99% of soft flight images are due to reasons other than MA. Those reasons being operator error and camera body AF deficiencies … I test at about 23-24 times the focal length and find that with increased distances d-o-f covers and small changes in the AFA or FFT settings. 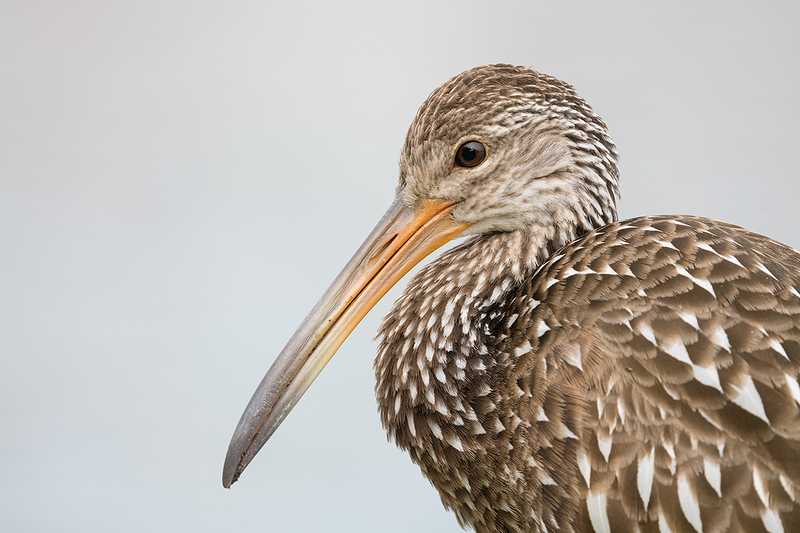 To my eye (and on my iPad Pro, which has excellent resolution), when looking at the crop version, the feather detail behind the Limpkin’s eye (right where you say your selected focus point is located) is sharper than the detail around the eye (orange eye ring and adjacent broken white eye ring). Why did you choose to focus where you did for this particular image rather than right on the eye, unless it was just too difficult to lock focus on the eye? Your image suggests to me that the bird’s eye and your AF point are NOT on the same plane. Hi Gary, Thanks for commenting as always. To my eye the eye and the ear tufts are equally sharp. As I was focused just below and to our right of the bird’s eye I am sure that the eye and the point of focus were effectively on the same plane. And that the ear tufts were on this side of the point of focus. All of that, however, would seem to be moot as the total d-o-f in this case was about 0.6 of one inch, well more than enough to cover the eye and the ear tufts.